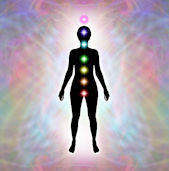 Why use Reiki / Quantum Touch and Natural Healing ? Reiki and Quantum Touch bring about healing by flowing through the affected parts of the energy field and charging them with positive energy. It raises the vibratory level of the energy field in and around the physical body where the disruption is manifesting, and causes the negative energy to break apart and fall away. In so doing, this heals the energy pathways allowing the life force to flow in a healthy and natural way, leaving you in a state of harmony and balance. What can it be used for ? I wanted to share my experience of hypnosis and how it helped me stop smoking. I had been trying to stop for as long as I can remember. Every day I had the hump because I was still smoking and I'd promised myself the night before I was going to quit in the morning and never did. I'd always thought about hypnosis but I guess I just wasn't sure about it and I had made excuses that it would take a course of sessions which I wouldn't be able to fit in to my busy work schedule and talked myself out of it. Then the opportunity came up to have a session with Serap at Innate Healing. The session lasted just under 2hrs and I only needed one session. I thought it would take a course to stop me smoking as I had been trying to stop for so long. To my surprise, after one session and after removing all the paraphernalia from my van I did not take another puff of a cigarette and four months on I am a non smoker and loving it. It was still challenging at times for the 1st couple of weeks but I had been programmed to become a non smoker and that's exactly what happened! It's definitely turned my life around and I can't imagine ever smoking again. I never thought a 2hr session would work after all the failed attempts I had in the past. I am now a happy non smoker. I was sceptical upon arriving for my Quantum Touch healing session. However, after the treatment any doubts I had before had disappeared. My mind and body were left feeling refreshed, rejuvenated and at peace. Thank you so much Serap. So today I attended my first Mindfulness session with Serap Enver. It's quite difficult to describe the experience but I will try my best: Wow, brilliant and amazing! What an experience! Thank you Serap. I have completed Reiki I, II and III with Serap. She has such a calming presence and is a brilliant teacher. I have thoroughly enjoyed my learning and couldn't recommend her more. Thank you Serap. Serap put me at my ease immediately with her soft and grounded presence, kind words and soothing voice. During the treatments I felt safe and held, as if in a healing bubble. My whole body relaxed and softened. Each session was enormously comforting and real emotional healing occurred as well as some easing of physical aches and pains. It is my opinion that Serap is a powerful Reilly healer and comes with my highest regard and recommendation. I am so grateful for having come across Quantum Touch and Serap who together have alleviated so much suffering from my life. 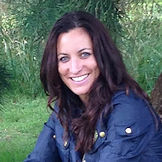 Serap is a grounded, warm, straightforward healer who you know will do the very best for you that she possibly can. It is this approach together with her clearly proficient healing skills which my mother warmed to when I took her to Serap for healings too which greatly helped her over a difficult period she was experiencing with her health. We have both worked with Serap in person and across distance and have found her distance healings to be as effective at providing relief as healing with her in person. She has been a blessing to both of our lives. Serap, a Healer for most of her life, has a deep passion for natural healing and a keen interest in personal and spiritual development. I am located in Beaconsfield, just 25 mins by train from Marylebone and situated within a half a mile of the M40. I am easily accessible by car and public transport. Clinic hours are Monday to Friday with Saturday appointments available once a month (weekend appointments do get booked very quickly so please book in advance). Blocked energy in these centres can lead to a disruption of the natural flow, resulting in illness or disease.